Betting Exchange Sites – Which Is Best? In the early days, there was just one Betting Exchange, and this was the true pioneer Betfair. Since then, other Betting Exchange Sites have come to the market and competition between them is starting to get fierce. This is great news for us punters, as lower commissions mean higher profits. Betting Exchanges are common place now, as peer to peer trading has come to the fore, and software robots have come down In price. In the formative years though, betting exchanges were only accessible from betting exchange shops. These were similar to Internet cafe’s, where you rented the PC for an hour or so. The smartest people back then really cleaned up financially as they could exploit massive gaps in the sports markets. These strategies are common place now. I like Betfair for general sports trading. As I’ve described, first mover advantage means that there’s a lot of liquidity at Betfair. Without doubt, they are still the biggest, and now are part of the Paddy Power group of businesses. The Betfair platform tends to be slick, straightforward and easy to navigate. At busy times, betfair does have a nasty habit of crashing, leaving you with large liabilities if you can’t get your bet matched. I believe it’s Important to have an other betting exchange accounts, just in case this happens to you. Most exchange software has been designed with Betfair in mind, due to Its sheer dominance, so I’d really recommend using Betfair if you’re just starting out trading. Withdrawals usually take 3-5 days which although seems to Industry practice, Is still excessive. The real downfall with Betfair Is how greedy they’ve become. Winning bets will cost you 5% commission, which reduces with volume. Really successful and profitable traders can then get hit with what Betfair call their Premium Charge. This charge accounts for 20% of your profit, and I can only consider that being a publicly traded company now, bankers and Investors are more Important to Betfair than customers. When you’re working on tight margins anyway, then premium charge can easily make your trading style obsolete overnight. So What’s The Competition Like? Well the next betting exchange that came along was Betdaq. It almost mimicked Betfair in design and functionality. Again, Its very easy to use and has a wide range of betting markets to exploit. Software has also been made for Betdaq, Bet Angel Is probably the best offering and has certainly stood the test of time. Liquidity was always a problem with Betdaq, as unlike Betfair, they never had the budget to promote themselves to the same extent. However, I think Betfair has actually helped Betdaq unwittingly. Betdaq recently announced a reduction In it’s betting commission down to just 2%, a whole 3% less than Betfair. Secondly there Is no premium charge for successful traders. Where do you think people will go now? I’ve got a pretty good idea, and I think Betfair will suffer. More people trading at Betdaq resolves the liquidity Issue, making It a real contender. At 2% commission, even matched bettors will use Betdaq for their trades. A profit is a profit after all. Smarkets came to market fairly late, but became an Instant hit with matched bettors due to their low 2% commission. 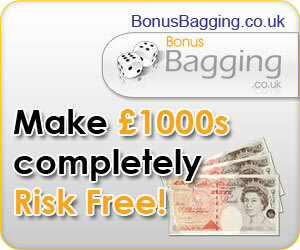 The site again Is easy to use, however It Is a little clunky compared to the larger betting exchange sites. I’m not aware of any trading software for Smarkets right now, however I believe that they’re working on a solution. I don’t think there’s enough liquidity yet to make It a standalone trading solution, but I guess time will tell. One key advantage to Smarkets is their minimum bet size of just 5 pence compared to Betfair’s £2 minimum bet. This Is great for testing new systems out as It keeps the risk to a minimum. The range of markets to trade Is somewhat less at the moment too, but again Its still fairly early days for Smarkets, and Its found Its own niche in a crowded market place. Matchbook then came online which I hoped might stir things up a little….. It didn’t! I used them In the early days as they had a 50p minimum bet which was great for a strategy I was using at the time. Unfortunately they upped the minimum bet size up to £2 and that’s when I stopped using them. The other thing which Is really weird, Is that whether your bet wins or loses, with Matchbook, you’ll still be charged a commission. That’s really a kicker, getting charged for losing bets…..
That alone might explain why there’s no liquidity on their platform. In my mind, they’re no competition to the mainstream. I can’t really see any occasion where you’d want to use them as they’re simply not competitive at the moment. If you’re a football or horse racing trader then I have to recommend Betfair. Their volume and fast platform are excellent, and will allow you to profit easily. Obviously, if you hit premium charge, then Betdaq would be your next contender. It’ll keep more money in your pocket, where It counts. If matched betting, then Smarkets are great, and with Betdaq’s recent commission reduction, then they too make a great contender. There’s no real one stop shop I’m afraid, It all depends on your betting style. The fundamentals are to keep more profit in your pocket though, so keep a tight reign on commission rates, and you’ll be fine.